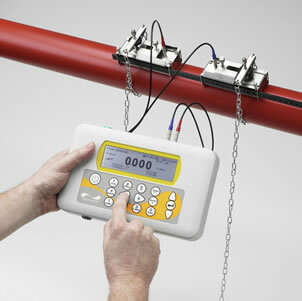 Portable and permanent/fixed clamp-on flow meters from Micronics, for simple, accurate flow measurement from outside the pipe! 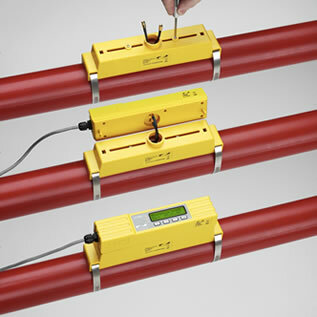 The Portaflow offers the user quick and accurate flow measurement with its easy to follow menu and simple set-up. Results can be achieved within minutes of opening the case! Application/Use: HVAC and energy system audits, Check system meters, Pump verification, Boiler testing, Leak detection, Filter sizing, Heavy fuel oil metering, Condensate measurement, Balancing systems, Fire pump testing. 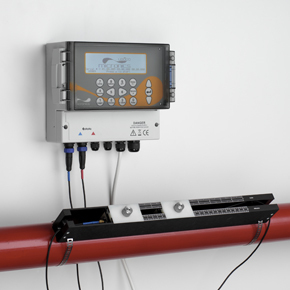 The Ultraflo U3000/4000 fixed meter range, offers the user a quick cost-effective alternative to traditional in-line meter installation, plus dry servicing, providing minimum downtime and maximum availability! Application/Use: Hot water metering and flow measurement, Flow measurement for Heat Metering, Chilled water metering and flow measurement, Flow measurement for chilled water energy metering, Potable water metering and flow measurement, Ultrapure water measurement, Heavy fuel oil metering, Condensate measurement. U1000 a new alternative to cutting pipes and mechanical meters from Micronics, for simple, low cost flow measurement from outside the pipe! Can be used as a standalone meter or as an integral part of an aM&T or BEM’s system. 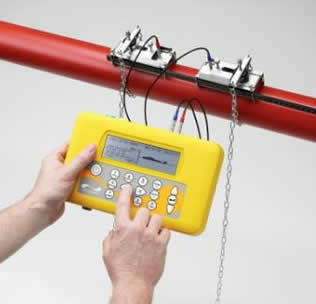 Simple to install – clamp-on to the pipe, connect power and enter the pipe diameter, no specialist skills or tools required! The Foreign and Commonwealth Office has benefited from the installation of forty Micronics flow meters to benchmark potential savings. Micronics’ U3000 clamp-on flow meters have been used to monitor heating and water consumption at Northumbria University’s campus. Micronics’ clamp-on flow meters have been used to help optimise plant operations and achieve energy savings of up to 30% in hotels throughout Europe. 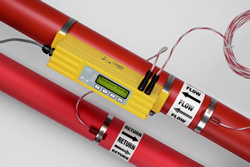 Micronics’ portable flow meter has been specified to monitor the flow rates of a pharmaceutical company’s water distribution system for energy saving.